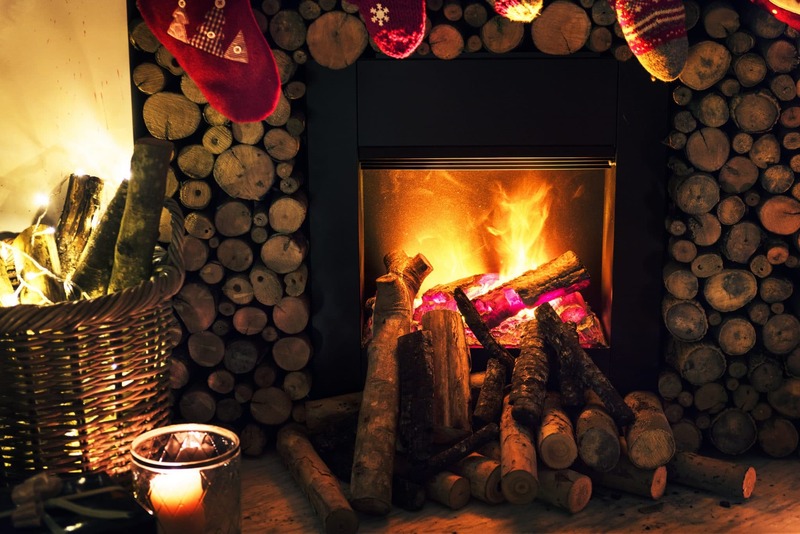 Home Tips and Knowledge Is your home safe from fire this holiday season? Is your home safe from fire this holiday season? For many Georgia residents, decorating the home is a favorite part of the busy holiday season. “During the holidays the fire-loading inside a typical single or multi-family dwelling increases,” said Gwinnett Fire Captain Tommy Rutledge. According to the National Fire Protection Association two of every five home decoration fires are started by candles, and nearly half of decoration fires happen because decorations are placed too close to a heat source. A live tree fills the home with the scent of fresh pine and illuminating beauty, but also poses a serious fire hazard if not properly cared for. When using an artificial tree, select one that’s been approved by a recognized testing laboratory and is made of flame-resistant material. Decorations and ornaments should also be flame retardant. Remember to snuff out candles and turn off decorative lights when leaving the home or before going to sleep. Never place lit candles close to anything that could catch on fire. Keep candles out of the reach of children and pets. Holiday Tree Fire Hazards – Special fire safety precautions need to be taken when keeping a live tree in the house. A burning tree will rapidly fill a home with superheated air and toxic gases produced by the flames and smoke. Selecting The Tree – Needles on a fresh tree should be green and hard to pull back from the branches. The needles should not break easily. The tree trunk should be a bit sticky to the touch from the sap. A dry tree can be identified by bouncing the trunk on the ground. If a considerable amount of needles fall, the tree is dried and is likely a fire hazard. Caring For The Tree – Do not place a live tree close to a heat source; such as a fireplace, wood-burning stove, space heater or residential heat vents. The heat will dry the tree, causing it to be easily ignited by a spark or open flame. Be careful not to drop or flick cigarette ashes near a live tree. Avoid putting a live tree up too early or leaving it up for longer than 2 to 3 weeks. Keep the tree-stand filled with plenty of water so the tree stays moist and green for as long as possible. Disposing Of The Tree – Never put tree branches or needles in a fireplace or wood-burning stove. The best way to dispose of the tree is by taking it to a recycling center or having it hauled away by a community service. Maintain Holiday Lights – Inspect holiday lights for frayed wires, bare spots, gaps in the insulation, broken or cracked sockets, and excessive kinks or wear. Only use decorative lighting that’s been approved by a recognized testing laboratory. Some lights are only for indoor or outdoor use, but not both. Replace any string of lights with worn or broken cords or loose bulb connections. Use clips, not nails when hanging holiday lights. Be sure to read and follow manufacturer’s instructions. Don’t Overload Electrical Outlets – Do not link more than 2 to 3 light strands together, unless the directions specifically indicate that it’s safe to do so. Periodically check the wires and electrical outlets – they should not be warm or hot to the touch. Don’t Leave Holiday Lights On Unattended – Never leave holiday lights on unattended. When leaving the house or before going to sleep, be sure to turn Christmas tree lights off, as well as outdoor holiday lighting. Use Nonflammable Decorations – All holiday decorations should be nonflammable and should be kept away from a heat source or open flame. Never put wrapping paper in a fireplace. Melting giftwrap paper may produce toxic gases when exposed to excessive heat or open flames. Use Caution With Lit Candles – Be sure lit candles are placed in stable holders and cannot be easily knocked over. Never leave the house or go to sleep with a candle burning. Never place lit candles on a holiday tree or decorative wreath. Use flameless candles instead of real candles to reduce the risk of fire and to prevent burn injuries. Include Fire Safety In Your Recipes – Prevent holiday cooking fires by practicing fire safety. Never leave food on the stove unattended and be sure to set the timer when baking or simmering. Keep anything that could catch fire away from stove burners or open flames. Create a kids-free zone around the oven or stove and be sure to turn cooking appliances off when going to sleep or leaving the home. Avoid cooking if you’ve had too much alcohol to drink or when taking medication that causes drowsiness. Entertaining Guests – Create a safe environment for family and friends during festive holiday gatherings. Never drive while intoxicated and avoid giving alcohol to minors. Keep matches and lighters out of the reach of children and avoid the use of candles in high-traffic areas inside the home or when children or pets are around. Secure all personal weapons in a locked cabinet. Limit the number of people on outdoor decks to prevent collapse from overcrowding. As in every season, have a working smoke alarm on every level of the home and in each of the bedrooms. Develop a home fire escape plan and practice fire drills regularly. Keep a portable fire extinguisher close at hand and have a collapsible fire escape ladder upstairs. Install a carbon monoxide alarm near the sleeping area and prevent emergencies by having all gas appliances serviced annually.